One in every three adults has high blood pressure, putting them at risk for heart disease and stroke, which are leading causes of death in the United States. 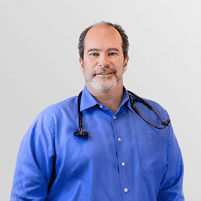 As an internal medicine physician, Michael Temkin, DO is experienced in diagnosing and treating heart disease and hypertension. If you haven’t had your blood pressure or blood cholesterol levels checked recently, book an appointment with Dr. Temkin at his office in San Ramon, California. Many people with hypertension don’t exhibit any symptoms, so it’s important to visit Dr. Temkin for regular checkups, watching for any increase in your blood pressure levels over time. Uncontrolled high blood pressure may eventually cause major health problems, such as heart disease or stroke. How does Dr. Temkin treat hypertension and heart disease? Dr. Temkin takes a proactive approach to managing and preventing chronic diseases like heart disease and hypertension. When talking with patients about their health history and lifestyle, he addresses the root causes of the disease, and helps patients modify their lifestyles to lower any controllable risk factors. To help patients with hypertension or heart disease manage their health issues, Dr. Temkin regularly monitors their blood pressure and checks their blood cholesterol levels. He can also recommend smoking cessation tools and stress management techniques, if needed. How can the LeanMD program help? Because excess weight often contributes to heart disease and hypertension, losing weight can play a critical role in treating these conditions. Dr. Temkin’s medical weight loss program, LeanMD, has helped thousands of patients lose weight, treat chronic disease, and get healthy. The program includes healthy, whole foods, and can be integrated into your treatment plan for heart disease or high blood pressure.